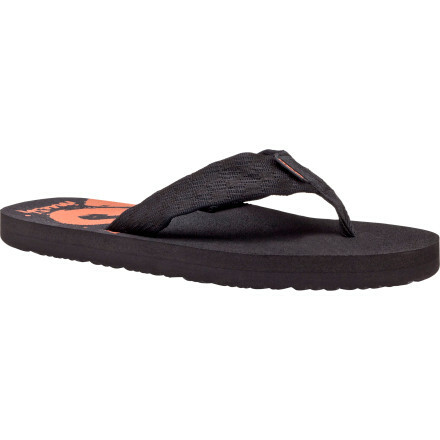 The most comfortable flip-flops I've ever owned, the Teva Mush are my all time favorites. I love my Teva Mush flip-flops. I've bought a dozen pairs over the years. If it isn't broken, there's no need to update the style (or fix it). 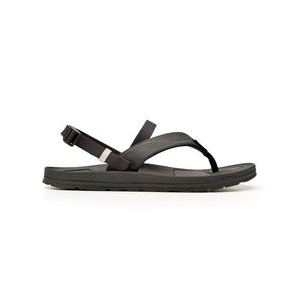 I tend to go with a slightly smaller size, even though I'm a six 1/2 shoe size I purchase size 6 sandals from Teva. The Mush footbed conforms to my foot and how my foot strikes while walking, creating a custom fit every time. The only drawback of wearing my flip-flops for all activities is the footbed gets slippery when wet making it hard to keep them on when walking along streams or the banks of lakes. The straps are strong and well made and have never pulled out or ripped with use, which is usually where my flip-flops fail. 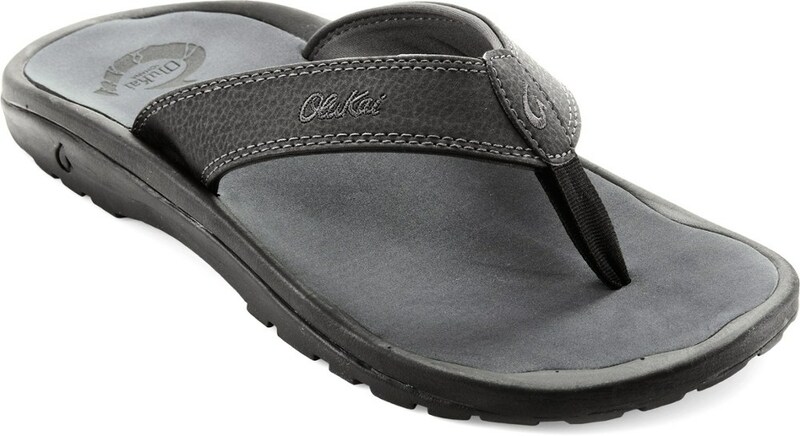 Overall these tough little sandals keep my feet happy and comfortable at a great price point and nearly unlimited color options. They are a must-have for any trip I take. I have now owned the Mush for about a year and have no complaints. They are still holding strong, though the tread is starting to wear around the heel and big toe. No odor has yet to emerge from the foot bed. I bought these while working in the Zion Canyon Village. I was visiting the village for the day and I stubbed my foot on some uneven concrete. 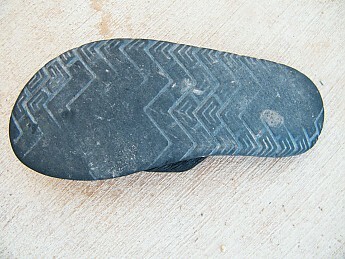 When this happened it caused the webbing to separate off the sole of my previous pair of Tevas. I cannot remember what model my old ones were, but they lasted about a year and took some pretty hefty abuse. 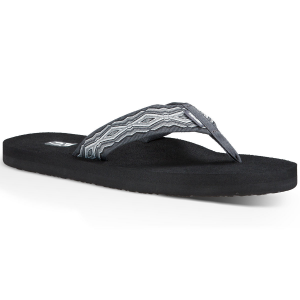 The price is right, at only $25 you can’t go wrong with a pair of flip flops; especially if they last more than 6 months. My foot molded to the sole in just a couple days and the tread has held up pretty well considering what I have put them through. I am unsure of the weight but they are very light and hardly noticeable. 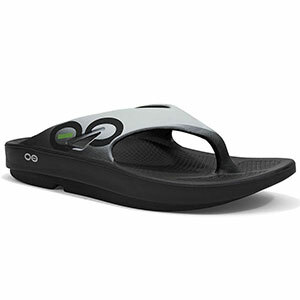 I have nothing bad to say about the Mush and they are far more comfortable than other flops and sandals I have tried. I have worn these on numerous mild trails in Zion National Park, I wear them pretty much every were I go including around the house. 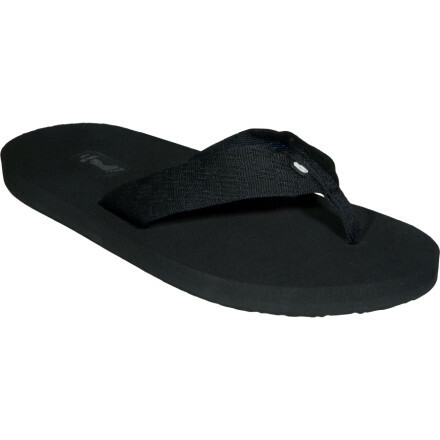 I have pretty sensitive feet and walking barefoot on hard surfaces in my home sucked before I discovered Teva. 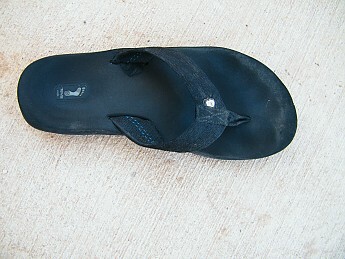 The ultimate test of durability for me was using them as an approach shoe for canyoneering in Zion. The tread grips well to sandstone, though my foot did slip out a couple times on steep hikes.